A state commission has nominated four Superior Court judges and another attorney for appointments to fill two vacancies on the Arizona Court of Appeals. Lawmakers in several states are considering requirements for doctors to inform women seeking medical abortions about an unproven procedure called "abortion reversal." Investigators said it started with a World of Warcraft game: A 16-year-old girl joined a team with her teacher and then entered into a private chat, which spiraled into online advances by the teacher and suggestions of meeting outside of school. 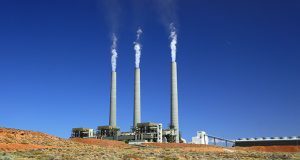 Despite pledges to look for alternatives, closing the Navajo Generating Station in Page could devastate the local economy, where hundreds of jobs rely on the plant and affiliated coal mine and where experts see few, if any, workable solutions. Coconino County Sheriff Jim Driscoll has urged immigrants not to fear contacting local officers if they are in distress or have a tip regarding criminal activity.